I’ve written about this before (on a different blog; don’t bother looking for it…it’s not there anymore) but I’m still kind of intrigued by the question: is there any other individual musician who has had as large an impact on the way we speak and express ourselves verbally as Paul Simon? It sounds hyperbolic, I know, but what I’m referring to are the specific turns of phrase he’s injected into our every day speech…little verbal flourishes that meant little or absolutely nothing before he gave them meaning, and gave them to us. That’s a lot. And I’m not sure any other single musician or lyricist can chalk up that much influence on the cultural vernacular. I’ll even let you combine all four Beatles…I still don’t think we get a list of anywhere near that length. No deep, probing observations here…just something I thought was interesting. And by all means, please do give me other examples in the comments of musicians I’m obviously overlooking. I am going to come off as a contrarian here, even though I agree with you, and you make an interesting point I have never thought about before. I am sure I myself have used “You Can Call Me Al” or some variant (e.g. “you can call meow”) at least a million times. My only point of divergence: Axe “Me and Julio Down by the Schoolyard” from the list. If anyone has ever said or referenced that, he/she should be kicked in the testicles repeatedly until sense is restored into his/her head. This, of course, should only happen after Mr. Simon himself has been tracked down and whacked in the testicles repeatedly with a sledgehammer. Now I will admit it is a catchy song. Simon is a musical genius; that’s the least he should be able to do. 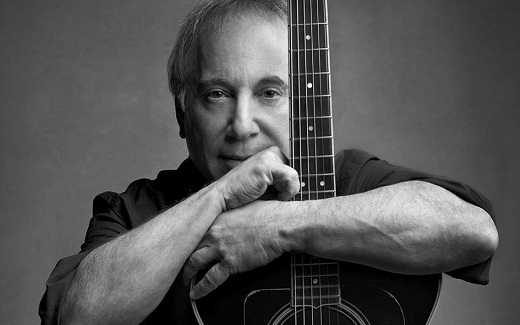 But the rest of the song–a testament to his own (self-styled) relevance and fitness for being clobbered in the balls–is one of several reasons that I have, on so many occasions, felt like… well, kicking Paul Simon in the balls. Sigh. I will now end my tirade, lest this become a Dangling Conversation.